﻿ Moto Guzzi Norge GT 8V first ride: "It’s a very civilised package"
"Like the Stelvio that was tested this morning the Norge has a host of updates including a new eight valve engine, more power and torque, new fairing, electronically controlled windscreen, ABS, on board computer, heated grips, sat nav and panniers that are all included in the price. 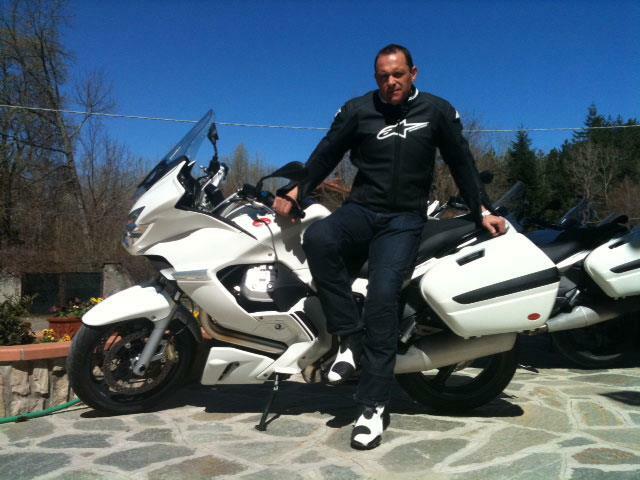 "I rode the bike in the Tuscany hills and on motorways, like the old Norge it’s a very civilised package. Trying to follow the speed crazed group leader on his Stelvio the Norge would tie itself in all sorts of knots but when I backed off the pace and rode the Norge as it was intended it’s very smooth, handles well and has good brakes. "My only immediate criticism is the seat, it’s almost too soft and gave me an aching bottom after an hour of riding."